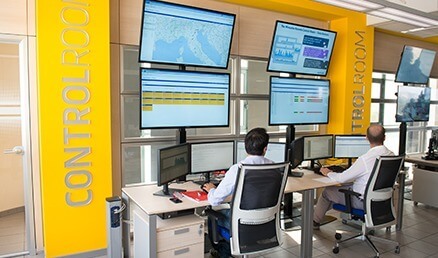 Aclarity Systems operates a professional security remote monitoring center that houses security staff and the most technologically advanced site monitoring equipment. Our staff conduct remote video monitoring of our customers’ property with hawk eye vision. Trained staff are able to spot the slightest suspicious activity by using advanced remote monitoring software. All clients’ premises need remote security camera installations that connect to our remote video monitoring center. We connect to our client camera network via the internet and the wireless ip camera. Remote video surveillance enables our staff to view live video in our center through the internet. We are able do this through DDNS and port-forwarding. Once we have an ip address to connect to we configure DDNS and port-forwarding and are able to view your property from our remote location. We are able to monitor both indoor camera and outdoor wireless camera. A remote video surveillance system is crucial to the well-being and safety of your home or business. One of the primary benefits of IP video is that you’re not limited to viewing your remote video surveillance system on site. The advancements in video surveillance technology have made it possible to view your remote security camera from any internet-enabled computer. The combination of remote security camera and sophisticated remote monitoring software means that Aclarity Systems does not have to rely on extensive manning of client buildings. The means that the labor overhead is low thus allowing us to provided cost effective solutions that meet our customer security needs. We are able to view recorded images and search through archived footage, play back and more. We are also able to set off alarms remotely to send criminals running if they are detected on your premises.